Hepatoma Res 2017;3:27-33.10.20517/2394-5079.2016.33© 2017 OAE Publishing Inc.
1Physiology Division, Zoology Department, Faculty of Science, Mansoura University, Mansoura 35516, Egypt. 2Ministry of Health, Makkah Region, Makkah 21514, Saudi Arabia. 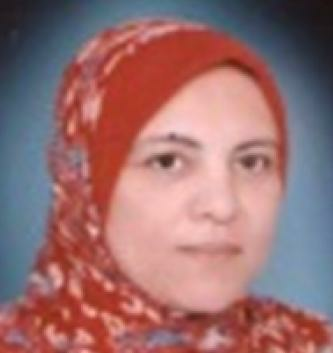 Prof. Hanaa A. Hassan is a professor of Experimental Physiology and Ecology, Zoology Department, Faculty of Science, Mansoura University. Dr. Hanaa held a position of professor at Institute of Animal Physiology and head of Zoology Department during 2012-2015, Faculty of Science, Mansoura University. She is interested in experimental nutritional therapy. Her current researches activities focus on evaluating the role of traditional plants in modulating the carcinogenic effects and controlling diseases. She is member of the editorial board of some peer-reviewed journals. Along her career, she published more than 60 articles in peer-reviewed journals. She chaired in funded project in the field of natural antioxidants as a good factor for minimizing the risk factors of pollutants in Dakhalia, Mansoura, Egypt. She supervises on more than 20 Msc and PhD thesis and is invited as examiners for a lot of thesis. Also she is a reviewer in the committee of promotion for professors and assistance professors. She got many scientific prizes (MSc Prize 1990, University Prize 2009 and Ideal Mother for students 2012). She got a nomination to Who's Who in Medicine and Healthcare 2011 Committee. Her current research activities deals with the evaluation of some dietary natural antioxidants as replacement therapy to try the treatment of some common diseases such as diabetes, atherosclerisis, Alzheimer's, hepatocellular carcinoma, and breast cancer through experimental models. Aim: Oxidative damage of cellular components by free radicals and other reactive oxygen molecules is believed to be associated with the development of degenerative diseases. The aim of the present study was to evaluate the antioxidant capacity and free radical scavenging activity of cape gooseberry juice (CGJ) in diethylnitrosamine-(DENA) and CCl4 (3 mL/kg b.w. )-induced hepatocellular carcinoma (HCC) rats model. Methods: The rats were divided into 4 groups (6 rats each group). Group 1 (control): the rats of this group did not receive any treatments; group 2 (CGJ): rats were daily administered cape gooseberry juice at a dose of 1 mL/kg b.w. ; group 3 (HCC): the rats treated with a single intraperitoneal injection of fresh DENA (200 mg/kg body weight) and received a subcutaneous injection of CCl4 (3 mL/kg/week); group 4: (HCC + CGJ): rats were treated with DENA (200 mg/kg b.w.) and CCl4 (3 mL/kg b.w. per week) in addition to daily administered cape gooseberry juice at a dose of 1 mL/kg b.w. Results: Treatment with DENA plus CCl4 induced a significant increase in tumor marker level, alpha-fetoprotein level, and liver function enzymes activity as well as elevated levels of malondialdehyde. This suggests oxidative stress accompanied with a significant decrease in antioxidant biomarkers including glutathione, total antioxidant capacity, superoxide dismutase and catalase in the examined tissues. However, the administration of GGJ could reduce these changes to control levels. Conclusion: CGJ is a promising candidate as a free radical scavenger and antioxidant processor in an HCC rats model. This beneficial effect was achieved by antagonizing free radicals generation and the enhancement of the antioxidant defense mechanisms, resulting in marked improvement of hepatic biomarkers. One of the most important natural diets with anti-oxidant properties is berries, among the most widely consumed fruits in the human diet. Berry fruits, wild or cultivated, are proven as a traditional and rich source of bioactive compounds, possessing important biological substances such as flavonoids minerals, vitamins, and phenolic acids. [8,9] One key berry fruit is, cape gooseberry (Physalis peruviana), a herbaceous plant which belongs to the Solanaceae family. Its fruit is also known as golden berry, ground cherry and in Egypt, harankash. The fruit of the cape gooseberry is highly nutritious, containg high levels of macronutrients and essential minerals such as magnesium, calcium, potassium, sodium, and phosphorus, as well as micronutrients such as iron and zince;[10,11] the fruit also containsvitamins A, B and C, in addition to β-carotene, α-carotene and β-cryptoxanthin. In addition, the fruit contains polyunsaturated fatty acids (e.g. linoleic acid andoleic acid). These bioactive compounds have nutritional value, medicinal properties, and an antioxidant property that can prevent peroxidative damage of liver cells. [12-14] Cape gooseberry extracts show antioxidant activity,[15,16] anti-inflammatory activity,[17,18] and anti-hepatotoxic and anti-proliferative effects on hepatoma cells. This fruit also has excellent potential as a food-based strategy for anti-diabetic and anti-hypertensive products. Therefore, the objective of this study was to investigate the antioxidant properties of cape gooseberry juice as a potential source of natural functional substances against lipid peroxidation and scavenging capacities towards free radicals in different tissues of experimental HCC rats model. Healthy male albino rats (Rattus rattus), 8 weeks old (150-170 g) were purchased from Institute of Ophthalmic Disease Research, Cairo, Egypt. Rats were housed in cages at regulated temperature (22-25 °C). They were kept under good ventilation under a photoperiod of 12-h light/12-h darkness schedule with lights-on from 06:00 to 18:00. They all received a standard laboratory diet (60% ground corn meal, 10% bran, 15% ground beans, 10% corn oil, 3% casein, 1% mineral mixture and 1% vitamins mixture), purchased from Meladco Feed Company (Aubor City, Cairo, Egypt) and supplied with water ad libitum throughout the experimental period. Animals received humane care and the present study complies with the animal care guidelines. The local committee approved the design of the experiments, and the protocol conforms to the guidelines of the National Institutes of Health (NIH). Experimental hepatocellular carcinoma rats were subjected by a single intraperitoneal injection of freshly prepared DENA (200 mg/kg body weight), then 2 weeks later received a subcutaneous injection of CCl4 once every week (3 mL/kg b.w.) for 10 weeks to promote the carcinogenic effect of DENA. Cape gooseberry (Physalis peruviana) was purchased from local markets at Mansoura, Egypt. Fruits were washed, cut into small pieces and freshly prepared juice [500 g cape gooseberry juice (CGJ) up to 500 mL distilled water, where each 1 mL juice contains 1 g cape gooseberry]. The cape gooseberry juice (1 mL/kg b.w.) was shaken well just before oral administration by gavage. After 2 weeks of acclimatization, the rats were classified into 4 groups (6 rats/group) and treated for 12 weeks as follows: group 1 (control) rats did not receive any treatments; group 2 (CGJ): rats were orally administered with cape gooseberry juice (1 mL/kg b.w. ); group 3 (HCC) rats were treated with a single intraperitoneal injection with DENA freshly dissolved in sterile 0.9% saline (200 mg/kg b.w.) and 2 weeks later given a subcutaneous injection of CCl4 (3 mL/kg b.w. per week) for 10 weeks to promote the carcinogenic effect of DENA; group 4 (HCC + CGJ) rats were treated with DENA (200 mg/kg b.w.) and CCl4 (3 mL/kg b.w. per week) plus CGJ (1 mL/kg b.w.). At the end of the experimental period (12 weeks), blood samples were collected from overnight rats, centrifuged at 860 g for 20 min at 4 °C and the separated sera were frozen at -20 °C for future biochemical analysis. Then the rats were sacrificed by cervical dislocation and the tissues (liver, kidney, brain and testes) removed and decapsulated. These tissues were weighed and homogenized in saline solution. The homogenates were centrifuged at 860 g for 20 min at 4 °C and the supernatants were frozen at -20 °C for further analysis. Alpha-fetoprotein (AFP) level was estimated by immunoenzymatic colorimetric method according to Acosta. Aspartate transaminase (AST) activity, alanine transaminase (ALT) activity and alkaline phosphatase (ALP) were measured using colorimetric kits purchased by ABC Diagnostic Kit, Cairo, Egypt. [25,26] Malondialdehyde (MDA) content was determined by the methods of Ohkawa et al. Reduced glutathione (GSH) was analyzed based on the method of Prins and Losse. Superoxide dismutase (SOD) and catalase (CAT) activities were assayed as described by Niskikimi et al. and Bock et al. respectively. Total antioxidant capacity (TAC) was determined using commercial Biodiagnostic kits (Dokki, Giza, Egypt) according to the methods of Koracevic et al. Data were subjected to statistical significance tests using one-way analysis of variance (ANOVA), followed by Duncan’s multiple range test. The statistical analysis was carried out using SPSS 12.00 software. The results were expressed as mean ± SE and the differences were considered significant at P ≤ 0.05. The results of the present study [Table 1] recorded that the HCC rats treated with DENA and CCl4 resulted in a significant increase in serum AFP level compared to the control level, indicating the development of HCC in rats. This elevation in AFP was accompanied by the elevation of serum and liver ALT, AST and ALP activity. The results in rats treated with CGJ alone were comparable to results in the control rats group in most of the estimated parameters. However, the administration of CGJ to the HCC rats was associated with a significant improvement in all the tested parameters where the treatment succeeded in reducing the elevation level of AFP, ALT, AST and ALP in both serum and liver [Table 1]. Moreover, the administration of CGJ to HCC rats succeeded in restoring oxidative stress through decreases in MDA level and induced a significant improvement in the antioxidant biomarkers by the observed increase in GSH, TAC, SOD and CAT in all the examined tissues; liver, kidney, brain and testis, indicating the antioxidant activity of CGJ [Tables 2-5]. Recently, there has been growing interest in dietary bioactive compounds obtained from natural sources which have a therapeutic effect against various diseases including chemoprotective properties against cancer. [5,33] HCC is a common disease, being the third leading cause of death worldwide. The current study suggests that treatment with DENA and CCl4 is a good model for the induction of HCC in rats. The data also showed increased AFP in HCC rats. Increase of this protein may be due to hepatotoxic agents or hepatocarcinogens that are frequently associated with HCC. Increased glycoprotein AFP levels is considered a good marker for various malignancies including testicular, bile duct, pancreatic, stomach, colon and hepatic cancer. [36,37] Moreover, the observed elevation of serum AST, ALT and ALP and the decrease in ALT and AST in the liver in HCC rats supports earlier findings. These findings may be due to damage to hepatocytes caused by exposure to DENA resulting in hepatic dysfunction and subsequent leakage of these enzymes from the neoplastic cell into circulation. Or, the findings may be due to the release of enzymes from normal tissue by tumors or possibly the effect of tumors on remote tissue, leading to leakage of enzyme and release into the blood. In a related concern it has been suggested that there is an increase in the levels of these transaminases activity in serum of HCC patients. In concurrence with the above findings, elevated serum aminotransferase activity is more specific for liver injury due to damage to the liver cell membrane. As well, alkaline phosphatase is used as a specific tumor marker for making diagnoses in the early detection of cancer. This enzyme is involved in the transport of metabolites across cell membranes, in protein synthesis, secretory activities and glycogen metabolism. It is a membrane-bound enzyme, and its alteration is likely to affect the membrane permeability that produces derangement in the transport of metabolites. The observed increases of serum and liver ALP in HCC rat groups may be due to altered gene expression. In the current study, the HCC rats group suffered from severe oxidative stress in various organs, achieved by elevation of MDA level and depletion of antioxidant enzymes. This may be due to the conversion of cellular poly-unsaturated fatty acids to the toxic product MDA which has a cytotoxicity and inhibitory action on cellular protective enzymes. HCC caused by carcinogenic DENA generally reflects instability of liver metabolism associated with free radicals species (ROS) generation, which leads to oxidative stress and alterations in antioxidant defense mechanisms. [35,45] Increased level of MDA has been reported during DENA-induced hepatocarcinogenesis. This dynamic action may further lead to uncompromised production of free radicals overwhelming the cellular antioxidant defense. [46,47] Moreover, HCC causes depletion of SOD and CAT activity as well as TAC and GSH contents in all observed organs. Such studies support the current findings, as the current study showed a significant decrease in the activities of antioxidant enzyme in the liver of animals treated with carcinogen. Antioxidants are substances that either directly or indirectly protect cells against adverse effects of xenobiotics, drugs, carcinogens and toxic radical reactions. The observed decrease in SOD activity in liver, kidney, brain and testes suggests the inactivation of antioxidant enzymes; this is possibly due to increased superoxide radical production or to an inhibition by H2O2 as a result of corresponding decrease in the activity of catalase which selectively degrades H2O2. The decreased GSH, SOD and CAT observed in the HCC group of rats may be due to accumulation of lipid peroxidation that was seen to increase during carcinogenesis. In view of the present results, it was observed that CGJ supplementation showed a significant antioxidant status as manifested by elevation of GSH, TAC, SOD and CAT in serum and various organs. Many plant secondary metabolites act as potent antioxidants and it has been demonstrated that free radical scavenger/antioxidants such as SOD, CAT, TAC and reduced glutathione (GSH) prevent the tissue damage induced by different toxicants. The first line of defense against superoxide anion (O2), H2O2 and (OH), the major ROS which induce cell degeneration by increasing LPO of cell membrane lipids, is the family of enzymes SOD and CAT that convert O2- to H2O2. The toxic end products of peroxidation induce damage to the structural and functional integrity of cell membranes, break DNA strands, and denature cellular proteins. The natural cellular antioxidant enzyme SOD is an important enzyme as because it is found virtually in all aerobic organisms. O2- is the only known substrate for SOD which is considered to be a stress protein, which is synthesized in response to oxidative stress. In conclusion, there is a significant relationship between HCC and free radical-mediated oxidative stress demonstrated by increased levels of MDA as well as decreased levels of anti-oxidant parameters in the examined organs of rats. The obtained data also strongly suggested the antioxidant activity of cape gooseberry supplementation, as evidenced by the greatly positive effect on reduced oxidative stress as well as improvement in the cellular anti-oxidant defense system antioxidant status. The underlying mechanisms for this protective effect may be through various nutritional constituents due, at least in part, to their synergistic anti-oxidant capacity as well as scavenging free radicals. Thus, blocking the oxidative stress pathway may be of therapeutic value in treatment of liver injury. These results suggest that CGJ-enriched diets should be added to diet regimens to develop a new therapeutic strategy for treatment of diseases associated with free radicals generation. The fractionation and bioavailability of the main constituents of cape gooseberry, which are responsible for the anti-oxidant activity, will be an important area of study in the future. The local committee approved this study and the protocol conforms to the guidelines of the National Institutes of Health. 1. Bouaziz H, Croute F, Boudawara T, Soleilhavoup JP, Zeghal N. Oxidative stress induced by fluoride in adult mice and their suckling pups. Exp Toxicol Pathol 2007;58:339-49. 2. Muriel P. Role of free radicals in liver diseases. Hepatol Inter 2009;3:526-36. 3. Barrera G. Oxidative stress and lipid peroxidation products in cancer progression and therapy. ISRN Oncol 2012;2012:137289. 4. Hassan HA, Abdel-Aziz AF. Evaluation of free radical-scavenging and anti-oxidant properties of black berry against fluoride toxicity in rats. Food Chem Toxicol 2010;48:1999-2004. 5. Serag HM, Hassan HA, Qadir MS. Efficiency of cape gooseberry in attenuating some biochemical disorders and oxidative stress associated with hepatocellular carcinoma. Wullfenia 2015;22:62-89. 6. Hassan HA, Al-Rawi MM. Evaluation grape seeds proanthocyanidin extract as a hepatic-reno-protective agent against gibberellic acid induced oxidative stress and cellular alterations. J Cytotechnol 2013;65:567-76. 7. Hassan HA, Edress GM, El-Gamal E, El-Sayed EA. Amelioration of cisplatin-induced nephrotoxicity by grape seed proanthocynidin extract and fish oil is mediated by lowering oxidative stress and DNA damage. J Cytotechnol 2014;66:419-29. 8. Facchini PJ, Bird DA, St-Pierre B. Can arabidopsis make complex alkaloids? Trends Plant Sci 2004;9:116-22. 9. Hassan HA, El-Gharib NE, Azhari AF. Role of natural antioxidants in the therapeutic management of hepatocellular carcinoma. Hepatoma Res 2016;2:216-23. 10. Ramadan MF, Moersel JT. Goldenberry: a noval fruit source of fat soluble bioactives. J Inform 2004;15:130-1. 11. Szefer P, Nriagu J. Mineral components in foods. Taylor Francis, FL: CRC Press; 2007. p. 480. 12. Wang IK, Lin-Shiau SY, Lin JK. Induction of apoptosis by apigenin and related flavonoids through cytochrome c release and activation of caspase-9 and caspase-3 in leukaremia HL-60 cells. J Eurpean Cancer 1999;35:1517-25. 13. Ramadan MF. Bioactive phytochemicals, nutritional value, and functi-onal properties of cape gooseberry (Physalis peruviana): an overview. Food Res Inter 2011;44:1830-6. 14. Hassan HA, Serag HM, Abdel-Hamid NM, Amr MM. Synergistic curative effect of chicory extract and cisplatin against thioacetamide-induced hepatocellular carcinoma. Hepatoma Res 2015;1:148-55. 15. Ramadan MF. Physalis peruviana pomace suppresses high-cholesterol diet-induced hypercholesterolemia in rats. J Int Fat Oil 2012;63:411-22. 16. Valdenegro M, Fuentes L, Herrera R, Moya-Leon MA. Changes in antioxidant capacity during development and ripening of goldenberry (Physalis peruviana L.) fruit and in response to 1-methylcyclopropene treatment. Postharvest Biol Technol 2012;67:110-7. 17. Arun M, Asha VV. Preliminary studies on antihepatotoxic effect of Physalis peruviana Linn. (Solanaceae) against carbon tetrachloride induced acute liver injury in rats. J Ethnopharmacol 2007;111:110-4. 18. Chang JC, Lin CC, Wu SJ, Lin DL, Wang SS, Miaw CL, Ng LT. Antioxidative and hepatoprotective effects of Physalis peruviana extract against acetaminophen induced liver injury in rats. Pharm Biol 2008;46:724-31. 19. Wu SJ, Ng LT, Lin DL, Wang SS, Lin CC. Physalisperuviana extract induces apoptosis in human Hep G2 cells through CD95/CD95L system and mitochondrial signalling transduction pathway. Cancer Lett 2004;215:199-208. 20. Pinto MS, Ranilla LG, Apostolidis E, Lajolo FM, Genovese MI. Evaluation of antihyperglycemia and antihypertension potential of native Peruvian fruits using in vitro models. J Med Food 2009;12:278-91. 21. Sarkar A, Basak R, Bishayee A, Basak J, Chatterjee M. B-Carotene inhibits rat liver chromosomal aberrations and DNA chain break after a single injection of diethylnitrosamine. J Br Cancer 1997;76:855-61. 22. Subramanian P, Mirunalini S, Dakshayani KB, Pandi-Perumal SR, Trakht I, Cardinali DP. Prevention by melatonin of hepatocarcinogenesis in rats injected with N-nitrosodiethylamine. J Pineal Res 2007;43:305-12. 23. Singha BN, Braj R, Singh BR, Sarma BK, Singha HB. Potential chemoprevention of N-nitrosodiethylamine-induced hepatocarcinogenesis by polyphenolics from Acacia niloticabark. Chem Biol Interact 2009;181:20-8. 24. Acosta AA. Direct immunoenzymatic determination of AFP in serum or plasma. J Clin Immunoassays 1983;6:41. 25. Reitman S, Frankel S. A colorimetric method for the determination of serum glutamic oxaloacetic and glutamic pyruvic transaminase. J Clin Pathol 1957;28:56-63. 26. Belfield A, Goldberg DM. Normal ranges and diagnostic value of serum 5'nucleotidase and alkaline phosphatase activities in infancy. Arch Dis Child 1971;46:842-6. 27. Ohkawa H, Ohishi N, Yagi K. Assay for lipid peroxides in animal tissues by thiobarbituric acid reaction. Ana Biochem 1982;95:351-8. 28. Prins HK, Losse JA. Biochemical methods. In: Yunis JJ, editor. ACS Publications, 1969. pp. 115-37. 29. Niskikimi M, Roa NA, Yagi K. Measurement of superoxide dismutase. Biophys Res Common 1972;46:849-54. 30. Bock PP, Karmer R, Paverka M. A simple assay for catalase determination. Cell Biol Monogr 1980;7:44-74. 31. Koracevic D, Koracevic G, Djordjevic V, Andrejevic S, Cosic V. Method for the measurement of antioxidant activity in human fluids. J Clin Pathol 2001;54:356-61. 32. Waller RA, Duncan DB. Bayes rule for the symmetric multiple comparison problems. J Am Stat Assoc 1969;64:1484-503. 33. El-Wakf AM, Hassan HA, Mahmoud AZ, Habza MN. Fenugreek potent activity against nitrate-induced diabetes in young and adult male rats. Cytotechnology 2015;67:437-47. 34. Ramalingam R, Vaiyapuri M. Effects of umbelliferone on lipid peroxidation and antioxidant status in diethylnitrosamine-induced hepatocellular carcinoma. J Acute Med 2013;3:73-82. 35. Kalaiselvan A, Gokulakrishnan K, Anand T, Akhilesh U, Velavan S. Preventive effect of shorea robusta bark extract against diethylnitrosamine-induced hepatocellular carcinoma in rats. J Int Res Med 2013;1:2-9. 36. Di Bisceglie AM, Sterling RK, Chung RT, Everhart JE, Dienstag JL, Bonkovsky HL, Wright EC, Everson GT, Lindsay K, Lok AS, Lee WM, Morgan TR, Ghany MG, Gretch DR. Serum alpha-fetoprotein levels in patients with advanced hepatitis C. J Hepatol 2005;43:434-41. 37. Maideen NM, Velayutham R, Manavalan G. Activity of prosopis cineraria against N-nitrosodiethylamine induced liver tumors by regulating the levels of tumor marker lipid peroxidation and antioxidants. AJPLS 2012;2:1-9. 38. Shaarawy SM, TohamyA, AElgendy SM AE, Elmageed ZYA, Bahnasy A, Mohamed MS, Kandil E, Matrougui K. Protective effects of garlic and silymarin on NDEA-induced rat hepatotoxicity. Int J Bio Sci 2009;5:549-57. 39. Dakshayani KB, Subramanian P, Manivasagam T. Imbalance melatonin modulates the oxidantantioxidant during N-nitrosodiethy-lamine induced hepatocarcinogenesis in rats. J Pharm Sci 2005;8:316-21. 40. Kawasaki N, Hamamoto Y, Nakajima T, Irie K, Ozawa H. Periodontal regeneration of transplanted rat molars after cryopreservation. Arch Oral Bio 2004;49:59-69. 41. Kobayashi T, Kawakubo T. Prospective investigation of tumor markers and risk assessment in early cancer screening. Cancer 1994;73:1946-53. 42. Patel NH, Condron BG, Zinn K. Pair-rule expression patterns of even-skipped are found in both short- and long-germ beetles. Nature 1994;367:429-34. 43. Iqbal Z, Lateef M, Ashraf M, Jabbar A. Anthelmintic activity of Artemisia brevifolia in sheep. J Ethnopharmacol 2004;93:265-8. 44. Manimaran A, Rajneesh CP. Activites of antioxidant enzyme and lipid peroxidation in ovarian cancer patients. J Acad Res 2009;2:68-72. 45. Parola M, Robino G. Oxidative stress related molecules and liver fibrosis. J Hepatol 2001;35:297-306. 46. Hirose M, Imaida K, Tamano S. Cancer chemoprevention by antioxidants. In: Ho CT, editor. Food phytochemicals: teas, spices and herbs. Washington: Am Chem Soc Press; 1994. pp. 122-32. 47. Klaunig JE, Kamendulis LM. The role of oxidative stress in carcinogenesis. Annu Rev Pharmacol Toxicol 2004;44:239-67. 48. Sen A. Rationality and social choice. Am Econom Rev 1995;5:1-24. 49. El-Shahat AN. Efficiency of broccoli in attenuating of some biochemical disorders in rats exposed to γ-irradiation. J Arab Nuc Sci Applic 2013;46:260-7. 50. De Duve C, Baudhuin P. Peroxisomes (microbodies and related particles). Physiol Rev 1996;46:323-57. 51. Kregel KC, Zhang HJ. An integrated view of oxidative stress in aging: basic mechanisms, functional effects, and pathological considerations. Am J Physiol Regul Integr Comp Physiol 2007;292:18-36. 52. Hayes DJ, McLellan IL. Glutathione and glutathione-dependent enzymes represent a co-coordinately regulated defense against oxidative stress. Biomed Res 1999;31:273-300. 53. Al-Olayan E, El-Khadragy M, FOthman MS FO, Aref A, Kassab R, Abdel Moneim AE. The potential protective effect of Physalis peruviana L. against carbon tetrachloride induced hepatotoxicity in rats is mediated by suppression of oxidative stress and down regulation of MMP-9 expression. Oxid Med Cell Longev 2014;2014:381413. 54. Sgaroba MA, Ramadan FM. Rheological behavior and physicochemical characteristics of goldenberry (Physalis peruviana) juice as affected by enzymatic treatment. J Food Proc Preserv 2011;35:201-19. 55. Abdel Moneim AE, El-Deib KM. The possible protective effects of Physalis peruviana on carbon tetrachloride-induced nephrotoxicity in male albino rats. J Life Sci 2012;9:1038-52. 56. Hassan AI, Ghoneim MAM. A possible inhibitory effect of (Physalis pubescens) on diabetes in male rats. World Appl J Sci 2013;21:681-8. 57. Rashwan NM. Effect of Physalis and choline on lipid profile and antioxidant activity in hepatic A. J Sci 2012;6:654-60. 58. El-Gengaihi SE, Hamed MA, Khalaf-Allah R, Mohammed MA. Golden berry juice attenuates the severity of hepatorenal injury. J Diet Suppl 2013;10:357-69. 59. Loganayaki N, Siddhuraju P, Manian S. A comparative study on in vitro antioxidant activity of the legumes acacia auriculiformis and acacia ferruginea with a conventional legume Cajanus cajan. J Food 2011;9:8-16. 60. Kanimozhi P, Prasad RN. Antioxidant potential of sesamol and its role on radiationinduced DNA damage in whole-body irradiated Swiss albino mice. Environ Toxicol Pharmacol 2009;28:192-7.